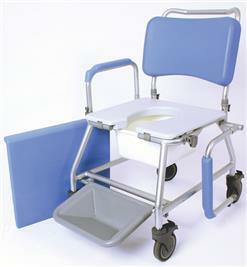 This high quality mobile commode is made and designed in Europe with comfort and simplicity in mind. 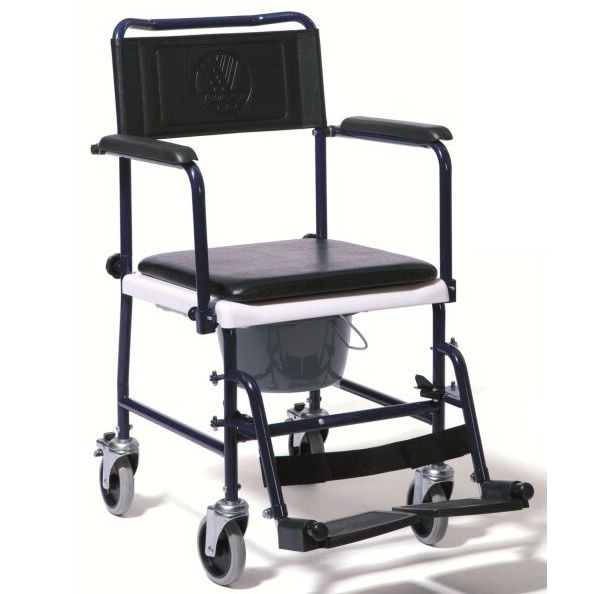 A mobile, fixed height, aluminium frame mobile commode and shower chair. It is attendant propelled and available in three seat widths. 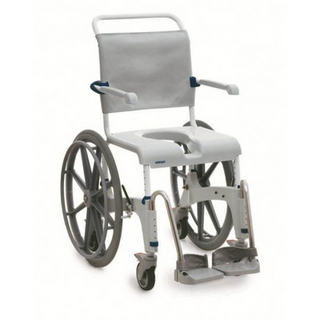 It features a removable padded seat, backrest and pan. 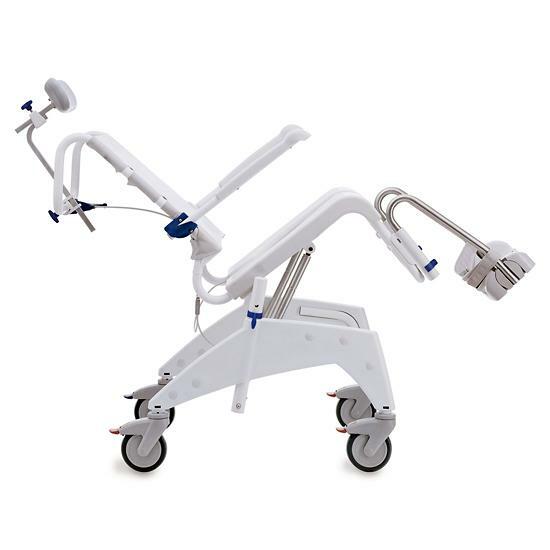 It is suitable for bariatric users.